The 25 Nov 2017-10 December 2017, marked the start and end of 16 Days of Activism for No Violence against Women and Children. During the remainder of the 16 days of activism, Citizen Justice Network’s paralegal journalists were sharing stories on issues that they felt their communities should be aware of. These stories were informative and beneficial to the victims and the ones who support the victims. To better guide our paralegal journalists on topics on GBV recently CJN attend a public dialogue were one of the panelists, Sonke Gender justice together with Health-eNews launched South Africa’s first guide for journalists for reporting on Gender-Based Violence: a guide for journalists and editors. This 56-page booklet will help CJN to better guide our already well knowledgeable paralegal journalists on reporting on GBV. The booklet aims to inform journalists and editors on ways to creativity handle a sensitive story, which cannot only keep the dignity and respect of those involved but can be used as a powerful tool to affect change, according to Gill Gifford, Health-eNews Editor on one of the comments on the booklet. Articles in the booklet guide the user in understanding why there is a need for the guide to reporting on Gender-based violence, why we need to Understand GBV better and more. Reporting the GBV crimes, understanding what is GBV, the importance of context and the use of correct language. The booklet will also give a sense of direction and allow journalists and editors to report in a way that best serves the interests of the survivor. After having shown itself to be a great and widespread problem in South Africa, Gender-based violence impacts almost every aspect of life. GBV greatly affects women and children, it is systemic and deeply entrenched in institutions, cultures, and traditions in South Africa. Because of this scourge, the need for the book is intense. 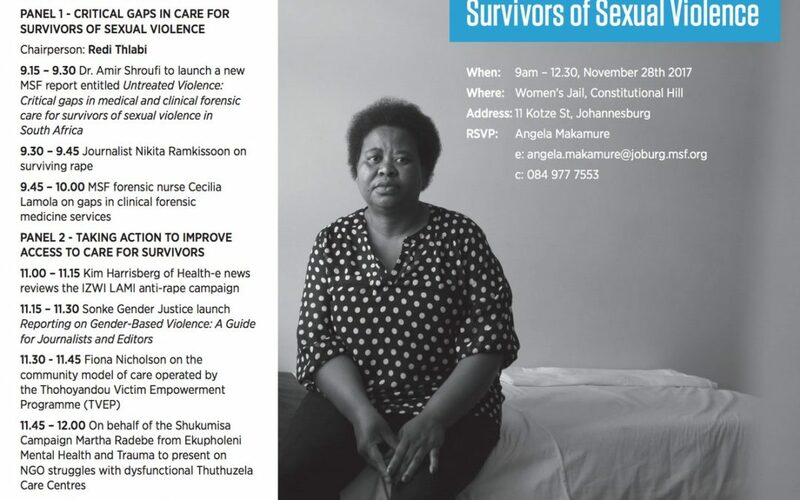 Because,” I think it’s very much informative and came at the right time when GBV cases are on the rise and spilling into or creating a bigger societal crisis, “said Mxolisi Ncube is a Zimbabwean-born journalist who lives in Johannesburg, South Africa. With this guide, the creators of this booklet hopes the user will have the necessary guidance and resources to report responsibly on GBV and sensitively interview a GBV survivor, and also referring them onto reputable organizations and counselors should the need arise, said the booklet. The commemoration of the 16 Days of Activism might have ended. However, the fight against gender Based Violence still continues, because we are making it 365 days of activism against gender-based violence.